Bear came in for his assessment Tuesday morning and I must say, he had a blast! 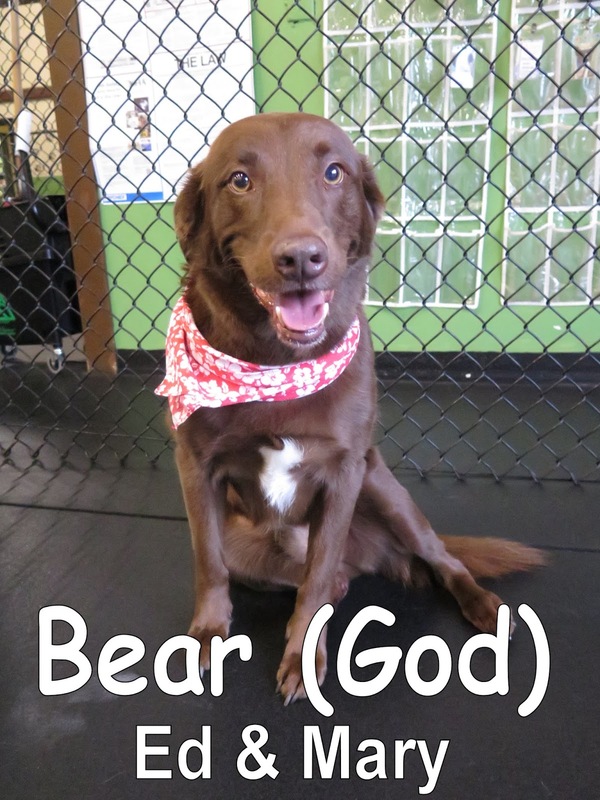 Bear is an eight year old chocolate lab/mix that weighs sixty five pounds and has the energy of an energetic puppy. He came in here a little shy, but once we introduced him to our Medium Dog Program he met Frankie, a red Labradoodle that's about a year old. They instantly bonded with each other; those two played and played like they've been friends for years. It was cool to see Bear keep up and play with a dog that's so much younger than him. Check out the clips below to see those two in action! This gorgeous girl joined us bright and early this morning with her tail all curly like a cinnamon bun, and her nose to the ground; she was very curious and eager to explore her new daycare. When I first saw Lulu she melted my heart. She's as soft as velvet and reminds me of a little mini Husky. 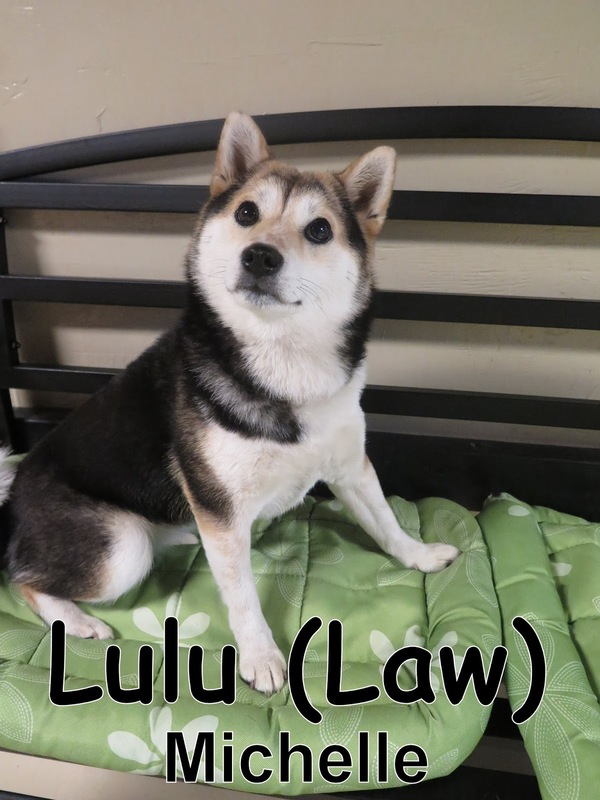 She's actually a Shiba Inu that weighs sixteen pounds and is one year old. 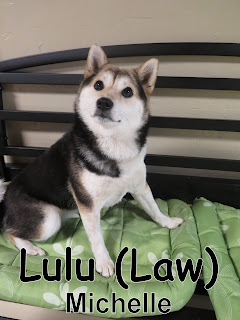 Lulu showed wonderful dog speak as she entered our Small Dog Program. She scoped out the area, and became familiar with her new pack as she mingled around, sniffing everything and wagging her tail. I think Bear and Lulu will get a lot out of coming here for daycare. They're both happy, energetic dogs and I'm looking forward to seeing them again. Today we met the delightful Daisy. 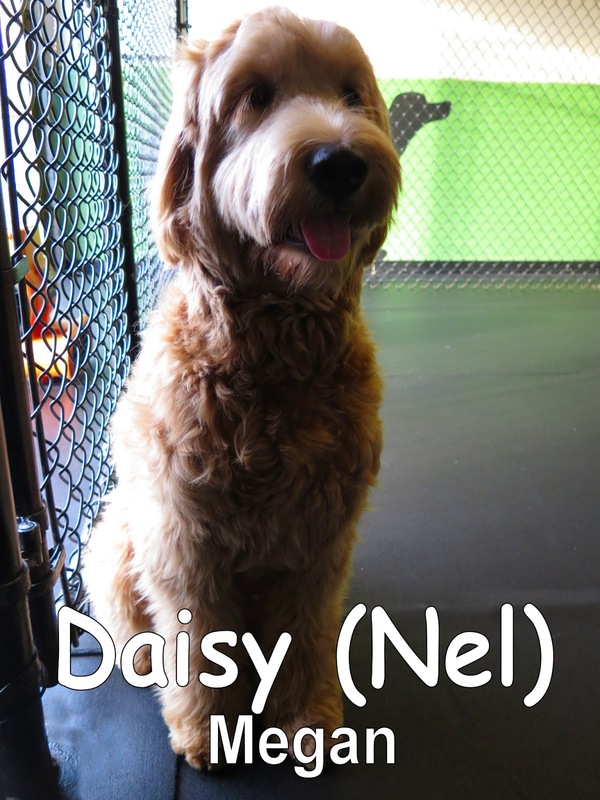 Daisy is a 7 month-old, 47 lbs., Goldendoodle. She came in happy with her tail wagging away. 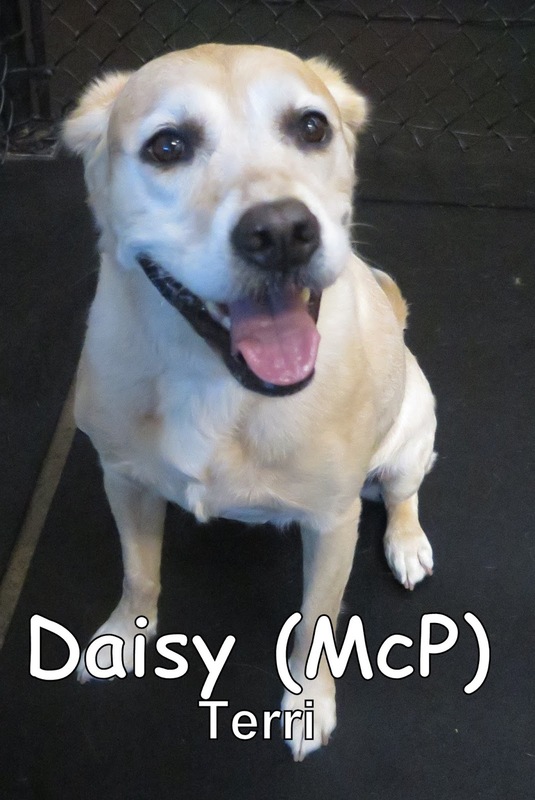 As soon as she entered our Medium Dog Program, Daisy knew that she would be able to relax and have fun at The Fort. Shortly after she entered our Medium Dog Program, Daisy met a pup named Zoey. These two immediately began to play about and had a blast. Check out the video below to see the fun. We are looking forward to seeing Daisy return for more action soon! This morning we had the pleasure of welcoming Bella and Cody to the Fort. 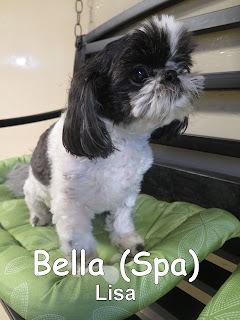 Bella is a four-year-old, eleven-pound, black and white Shih Tzu. 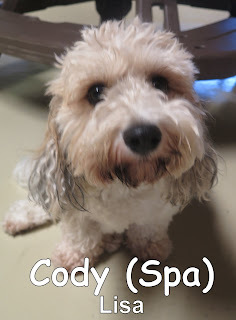 Cody is a two-year-old, eighteen-pound, Cavachon (Cavalier King Charles Spaniel x Bichon Frise). 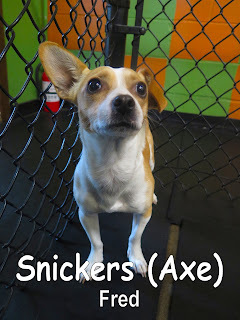 They both joined our Small Dog Program, where they enjoyed mingling with the other dogs. Bella and Cody are welcome back anytime. We look forward to seeing them again soon. 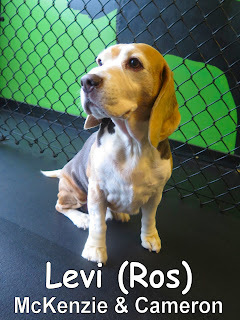 Yesterday, Levi came in for his assessment. 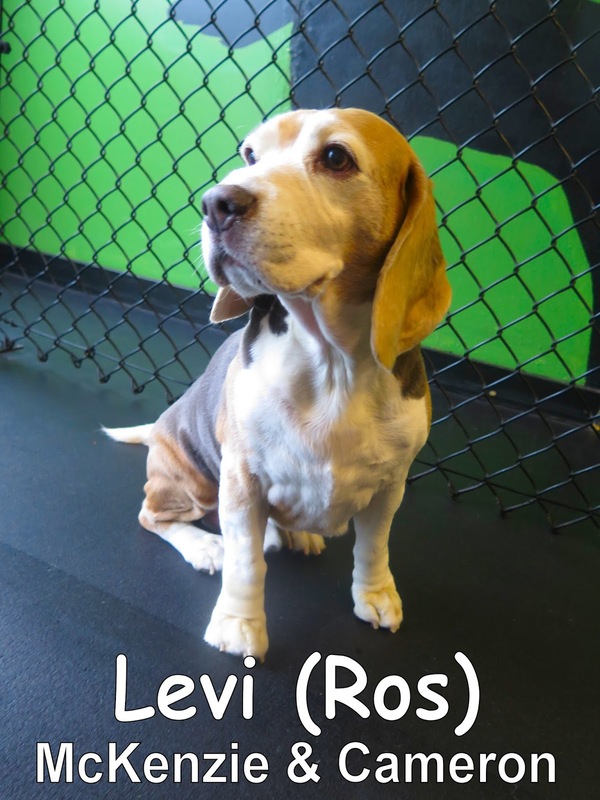 He is an eleven-year-old, twenty-eight-pound, Beagle. He joined the Medium Dog Program here at the Fort. Levi spent his time here mingling with the other dogs. He did a great job, and is welcome back anytime. mix that is eight years old and weighs forty nine pounds. Daisy just moved here not too long ago so she was a little cautious and shy at first- being in a new place and meeting all these new faces can do that to you. But once she got more familiar with the Medium Roll and started mingling amongst her new friends, she realized that Fort Fido is a fun and safe place for her to hang out. This little cutie above joined us this morning. 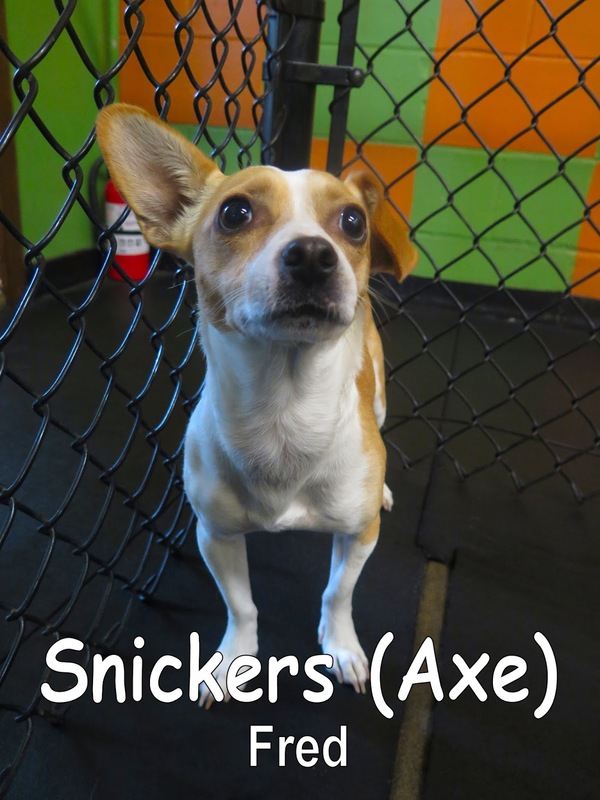 Snickers is a confident, two year old, Jack Russell Terrier Mix that weighs thirteen pounds. As dogs were arriving for daycare this morning, he was quick to make sure that he met all of them; sniffing away and wagging his tail, he showed great dog speak. Daisy and Snickers are both welcome to come back to The Fort whenever they like. Enjoy the rest of your evening everyone! Today we welcomed Jack. 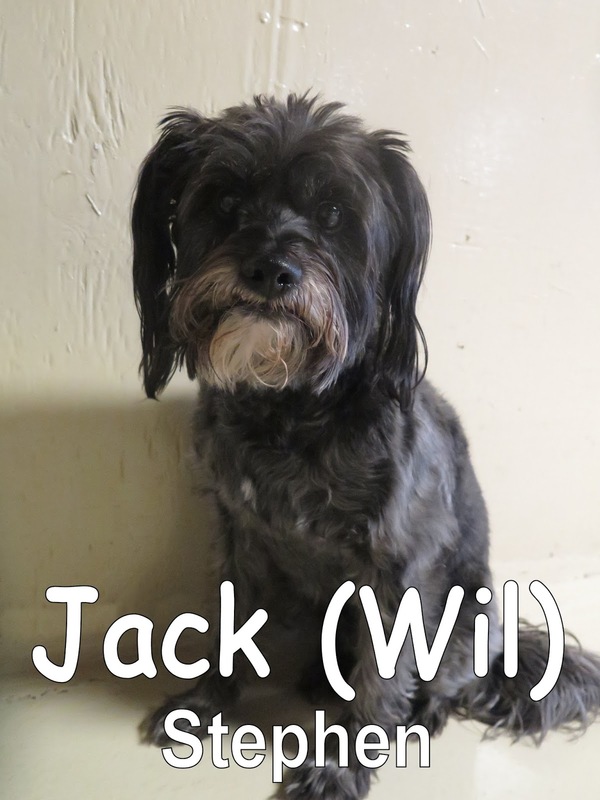 Jack is a 7 year-old, 27 lbs., Terrier Mix. Jack seemed up-beat and ready to roll as soon as we got a hold of his leash. We led him upstairs where he took his time getting to know his surroundings and learning that he could relax at The Fort. After he began to relax, Jack showed keen interest in the other dogs. He showed good "dog talk" and got along well with the other pups. With more time here, I think that he would become comfortable and show his playful side. 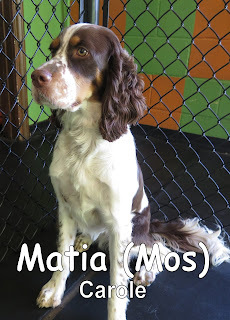 Matia came in for her assessment bright and early this morning. She is a beautiful, eighteen-month-old, forty-three-pound, tricolor English Springer Spaniel. Matia is the new sister of longtime Fort Fido regular Samantha. 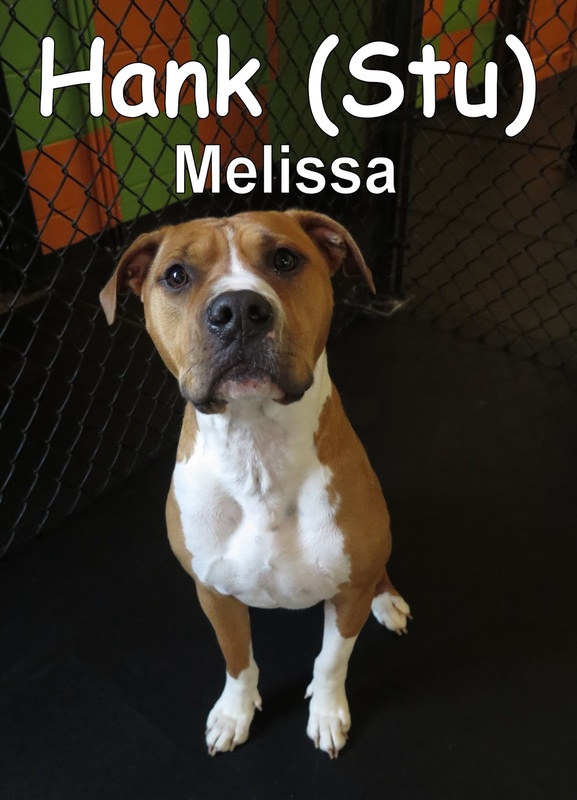 Like Samantha, Matia joined our Medium Dog Program. She started out a little shy, but after meeting some of the other dogs quickly became comfortable in her new surroundings. Matia had a fun first day here at the Fort, and is welcome back anytime. We look forward to seeing you again soon Matia. Here is a clip from this morning of Matia playing with Zoey (Mabel can also be spotted in this clip). This morning we had the pleasure of welcoming Baxter and Bailey to the Fort. 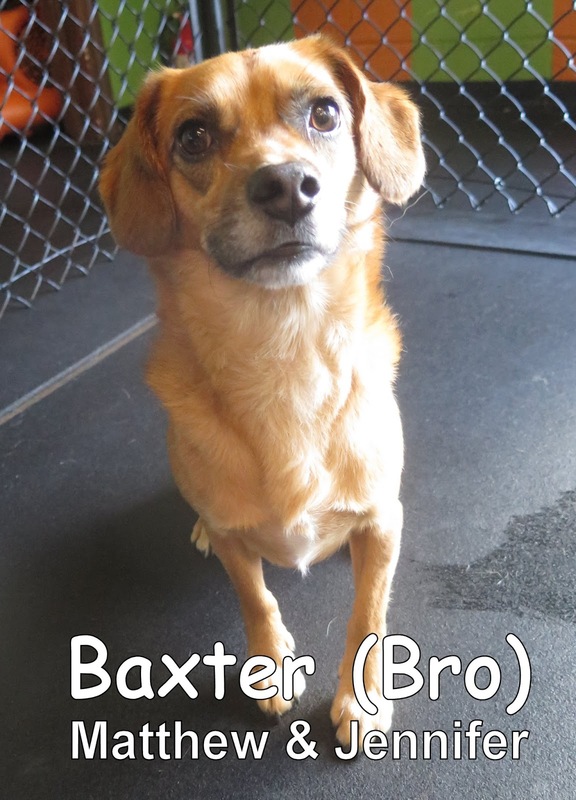 Baxter is a three-year-old, fifteen-pound, Mix. 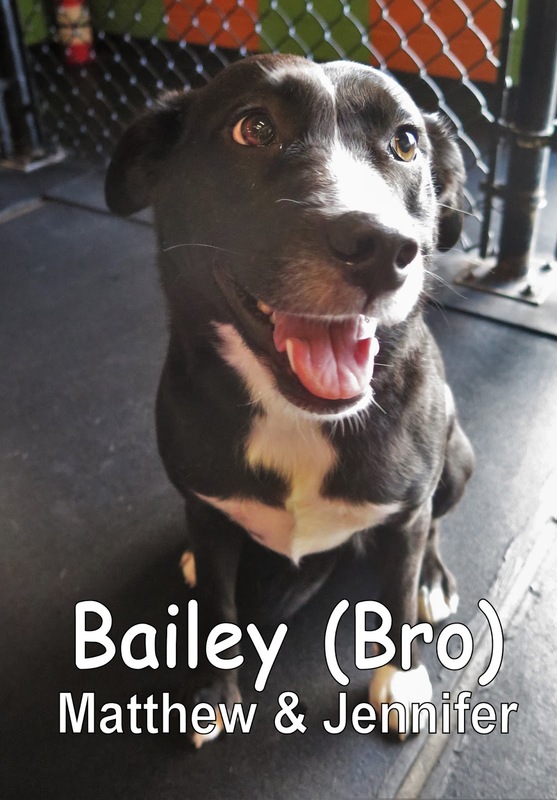 Bailey is a three-year-old, thirty-five pound, Lab/Border Collie Mix. They both spoke good dog and started playing with the others the moment they entered our Medium Dog Program. Baxter & Bailey did a great job and are welcome back anytime. We look forward to seeing them again soon. We assessed another Goldendoodle yesterday morning. Meet, Tanner! He's a spunky ten month old, that weighs fifty five pounds. 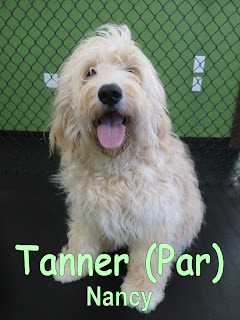 Tanner walked into our Large Dog Program with lots of curiosity. He was very eager in wanting to scope out the place and meet all of his new daycare buddies. Once he became more familiar of his new surroundings, he was ready to get his play on! He particularly fell in love with one of The Fort's regulars, Sage.We were lucky enough to capture the two playing one on one together, check it out below! We captured a video of Daisy and Hank playing in our medium dog program (check below! 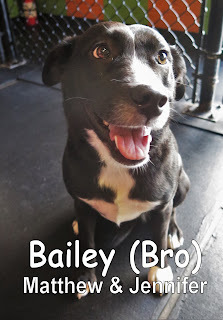 ), we also have some fun (and cute) pictures of pups as well. Hope you enjoyed the clip and pics! 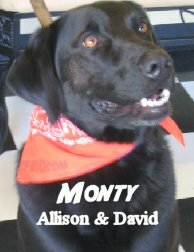 After attending Fort Fido for nine years our good friend Monty is retiring from daycare. His good nature and commanding presence will be missed here at the Fort. When Monty first started here he was a young and spry gentlemen without a grey hair on him. As the years past the grey in his fur made him look even more heroic. So much so that David nicknamed him "Space Ghost". I have personally known Monty since I was sixteen, which was eight years ago. We wish you the best Monty enjoy your retirement you've earned it. Take a look at this Handsome dog, Hank. He's a two year old, 60 pound Mix. Hank did very well on his first day today. We noticed right away that he's exceptionally smart and high spirited. He came in here with his ears perked up, his tail wagging, and a big ole' grin on his face; he was more than ready to meet his new play mates! It was as if he felt right at home- and had been coming here for years. Once he started mingling amongst the dogs in our large dog program, he was specifically drawn to one of our Dobermans, Reilly.Those two played and played like there was no tomorrow. We think Hank will get a lot out of his socialization here, and we are looking forward to seeing him soon.